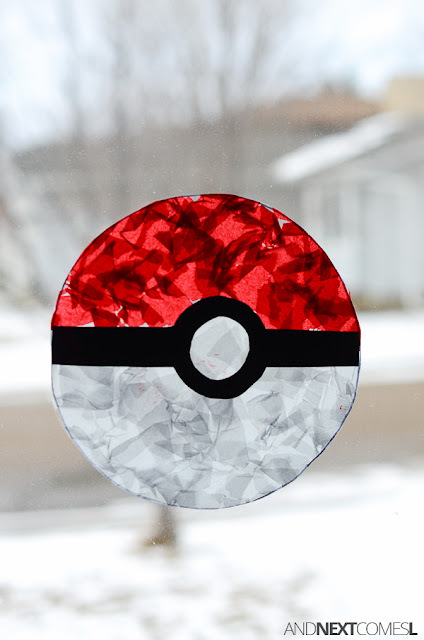 One of the most distinguishable items from Pokemon is the red and white Pokeball so we've been doing a lot of Pokeball activities around here, including making homemade Pokeballs to throw and coloring our own Pokeball coloring sheets. 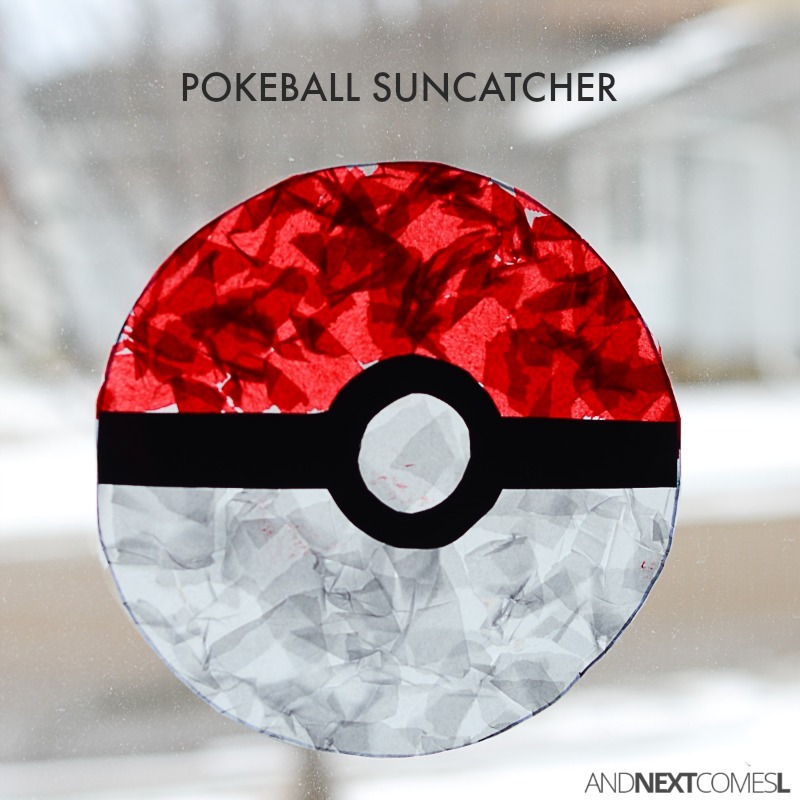 Just the other day I thought it would be fun to make a Pokemon craft for kids by making a big Pokeball suncatcher. And it turned out beautiful! On the non-sticky side of the contact paper, draw a large circle by tracing a large bowl with black permanent marker. To make the black part of the Pokeball, free hand cut the black cardstock to fit the size of your Pokeball. 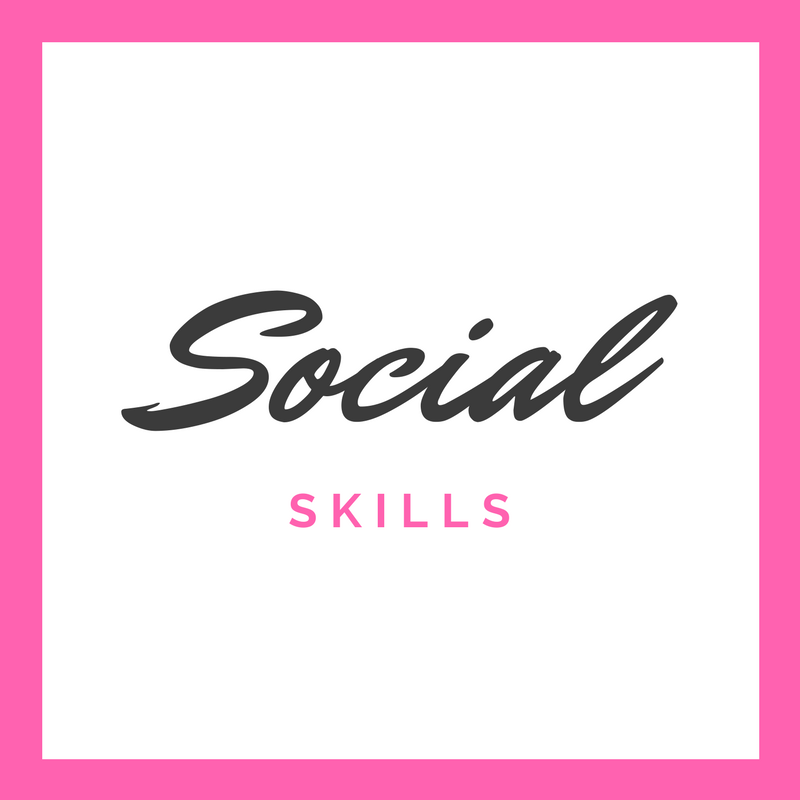 Rip or cut the tissue paper into small pieces. 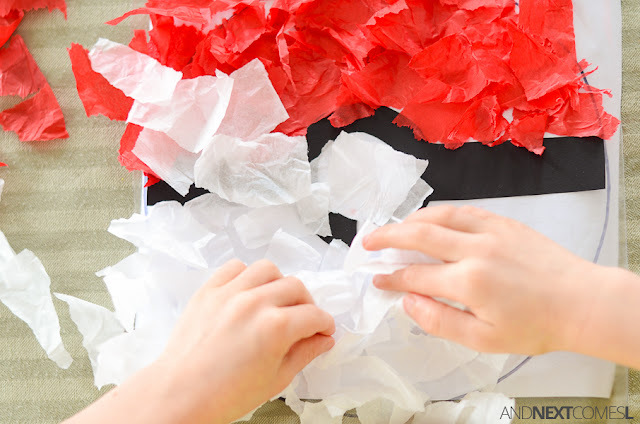 The kids love helping with this part and ripping up that tissue paper is such a great way to work on fine motor skills! 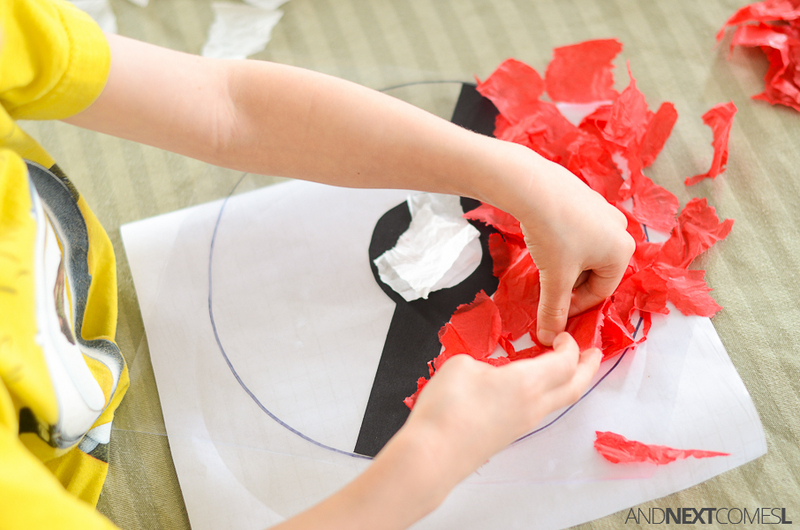 Then let the kids decorate their Pokeballs with the red and white tissue paper. When done adding tissue paper, cover the back of the craft with another piece of contact paper. 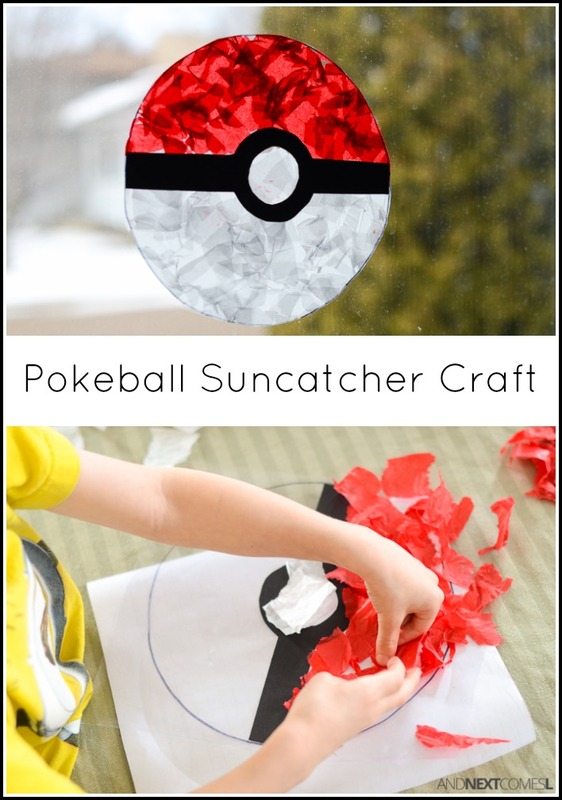 This will seal the tissue paper in and make the suncatcher more durable. 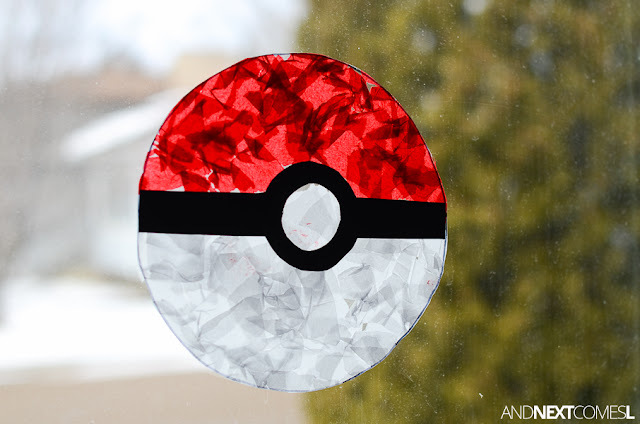 Once sealed with contact paper, cut the Pokeball into a circle by cutting along the line you drew in permanent marker. Then hang it up and enjoy!